Magento has become one of the most trusted e-Commerce platforms for thousands of retailers. Thus it is not surprising for an online seller to want to import products from eBay to Magento and other leading eCommerce platforms. However, this can be very time consuming to do manually. Also sorting eBay categories, mapping item specifics and processing images can be complex activities. Also, Magento can appear more complicated to set up and customize than other platforms because of its flexible architecture and extensive built-in functionality. StaffIt UK has developers with the technical knowledge and experience to help you with this. You don’t need to feel anxious about using up all your time doing these technical stuff instead of focusing on growing your business. We can even build a new Magento website, fully loaded with products capable of attracting returning customers’ orders while avoiding high eBay seller’s fees. Our capable team can import your products ensuring that your data will be handled confidentially and securely during the migration process to make sure nothing is lost or left out. The best part of it – we make sure that the process will incur as little downtime as possible so it will not affect your sales. 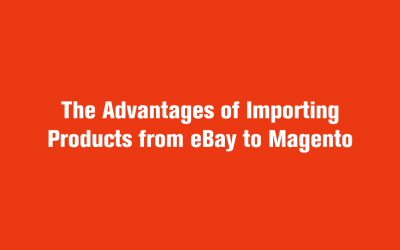 It takes experts to import products from eBay to Magento. Call Us Now and let us save you the hassles and the headaches. 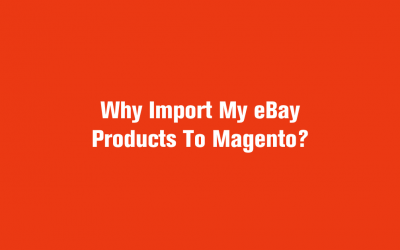 Why Import My eBay Products To Magento? If you would like to receive our regular email, please leave you details here and we will keep you up-to-date with our latest posts. We specialise in providing small companies with cost effective and experienced people to do urgent time-consuming eCommerce website admin so that you can focus on selling more and growing your business.